Cait @ Paperfury wrote that if I liked cake, I could pilfer the tag #cakeflavoredbooks. Since I and my family have made careers of recommending books to any and every passerby and giving cake to any and every passerby, I have a lot of reasons to do this. I adopted a few of Cait’s categories, left out a few as it suited me, and then invented one of my own. This list is the have-read-multiple-times-and-adored-will-always-recommend-type of books. 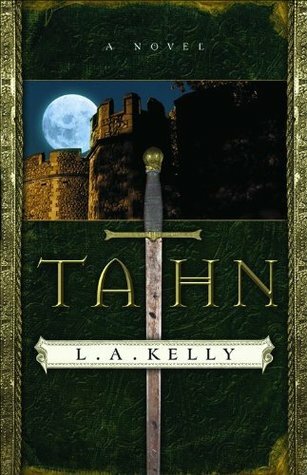 Tahn, by L.A. Kelly. This book has a few problems, but I read it as a young teen and it really brought home the ideas that: complicated protagonists are better than cardboard cutouts, stabbing people is an effective story-telling device, and overcoming damage is the greatest character arc. Have read multiple times. 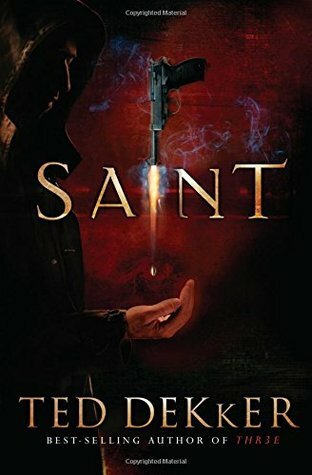 Saint, by Ted Dekker. This book is all assassins and violence and mind-bending of reality. It functions in his larger universe, but is shy of the horror of ‘House’ or ‘Skin’ and equally avoids the light romance of ‘Blink of an Eye’. Have read multiple times. Beauty, by Robin McKinley. I used to get this book through inter-library loans and read it three or four times before returning it. This happened several times before I finally gave up and just bought myself a copy. The protagonist is a philosopher, horse-loving, sassy sweetheart, so is the Beast, and I just /loved/ this book to death. Still do. Still recommend it to many much people and loan out my copy at the drop of a hat. Happy endings! Happy endings all the way around! Caraval, by Stephanie Garber had promise and problems. Mainly, its problem was that it failed to deliver on its promises. The cover is shiny and pretty. The inside tends to be cliched and wordy. There are some lovely sentences, but they get used a few times too many. Generally, it left me shaken, but not stirred (emotionally, that is). I drew the straw to write its high points in the one-two posts my pixie-in-law and I posted. WELL, IT DEPENDS ON THE PERSON, DOESN’T IT? YOU CAN’T GO AROUND RECOMMENDING SANDERSON TO NON-FANTASY FANS OR AIRMAN TO ROMANCE READERS OR NIGHT CIRCUS TO PEOPLE WHO WANT MINIMALIST PROSE NOW CAN YOU? THIS IS SERIOUS BUSINESS AND YOU HAVE TO HAVE SEVERAL BOOKS ON HAND TO CHUCK AT PEOPLE WHO ARE IN NEED. 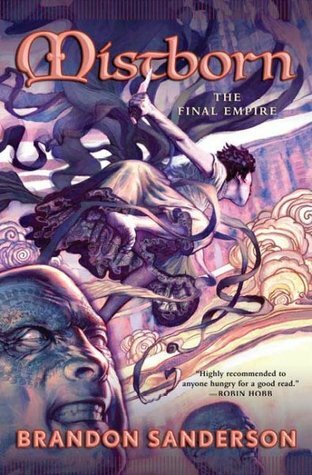 Mistborn: The Final Empire, by Brandon Sanderson. This author is an utter genius, and all of his books are fabulous. I particularly adored his Mistborn series. There was light, dark, humor, tragedy, subversion of expectations, beautiful imagery, a stunning magic system, a romance, a tragic romance, evil overlord to hate, plot turns galore, and just all the wins, okay? He even killed my favorite character. I was so mad, I had to go find the guy who recommended it to me and hit him with a magazine a few times. This book is a great way to get people hooked on Sanderson for the rest of their natural lives. Muahahahaha! 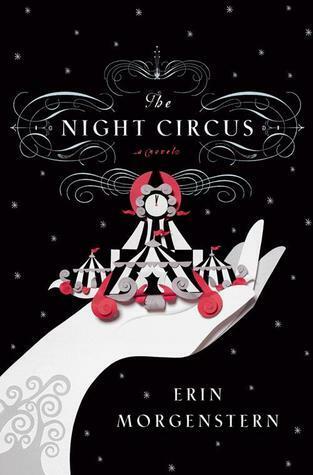 The Night Circus, by Erin Morgenstern. When people either a) have a sense of whimsey or b) need a sense of whimsey, they should read a book that is entirely made of beautiful sentences, glorious aesthetics, and peculiarly vivid imagery. This book is a bright light in a dark world of underdeveloped YA writers, overly-serious plots, and characters with obvious motives. Sometimes, things just happen in this story, and the story is whimsical enough to make you believe in those things. I want to let my memory of this book savor and age before I re-read it in a year or two. Airman, Eoin Colfer. If I ever recommend an audio book, it’s likely I’m going to recommend Airman. I adore this book. The reader of the audio book does a stunning job, and is, in fact, the reason I can do an Irish accent. The characters worm their way into your heart, and you can’t help but adore everyone all the time. Re-listening to it is like getting stabbed in the heart with all the good kinds of feelings. 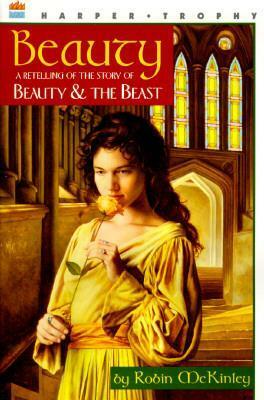 And also Beauty, by Robin McKinley, but she’s already listed above. 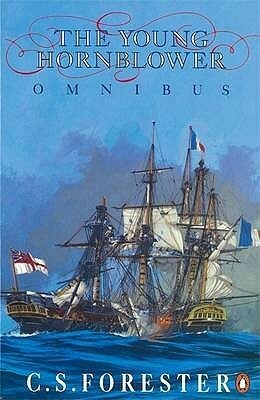 The Young Hornblower Omnibus, C.S. Forester – but… have I really /never/ finished it when it still has my bookmark in it and still has my intentions of finishing… even if it’s been a few… years? If that’s the case *glares at ‘currently reading’ section on Goodreads.com* I may have a few more for this particular section. It’s not that I don’t like Hornblower; quite the contrary. I sadly hamstrung myself by reading further on in the series. ‘Beat to Quarters’ was the first book I got my hands on. Naturally, knowing the competence he achieves and knowing he survives is somewhat detrimental to the suspense Mr. Forester attempts to cultivate. 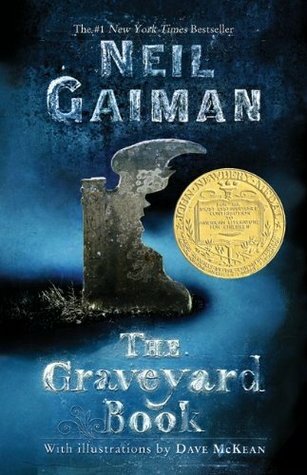 The Graveyard Book, by Neil Gaiman. I read this book and fell head-over-heels with Gaiman’s prose. The man called Jack and the hound of Heaven and gravestones and ghosts and a little boy with tricks up his sleeves and dreams in his heart… I adore this book. Have read more than once, will read again, and again, and again. 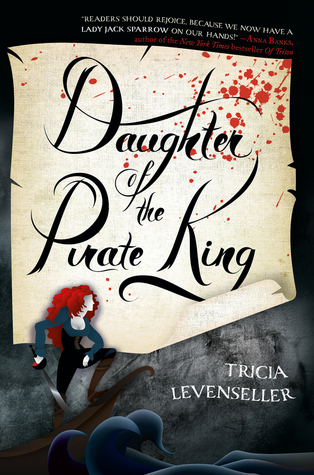 Daughter of a Pirate King, Tricia Levenseller… but more is coming. I know. I looked up ‘is there a sequel to Daughter of a Pirate King?’ about .5 seconds after I shut the cover of the book. 2018, people. Sequel. This book is all sugary Machiavellian plots and sweet seduction and swoon-worthy stabbings. It could use some more world-building. I was dismayed to find no map. But the subversion of expectations was just delightful, and I will re-read and recommend. 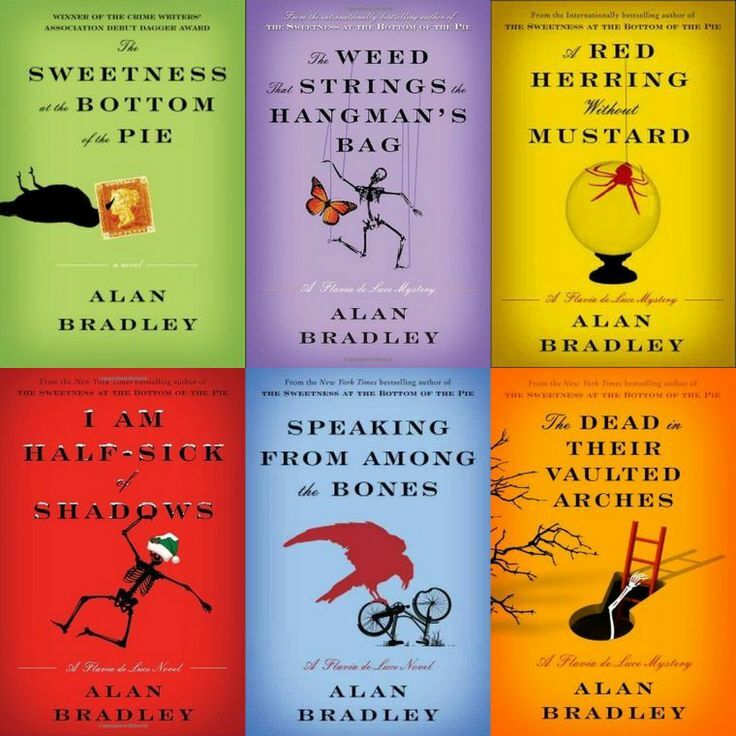 Flavia de Luce Series, Alan Bradley. While this series may be wearing a little thin on originality toward books #5 and further (which I haven’t read), but I just adored the first book and throw it at anyone who shows a hint of interest in murder mysteries. The main character is fabulous, believable, and sassy, and following her adventures is delightful. Aaaaand, I may have the next book on my Christmas list. 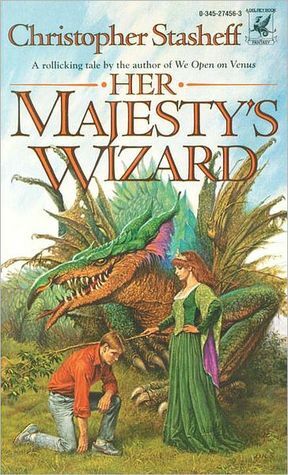 Her Majesty’s Wizard, by Christopher Stasheff. I got this book at a sharp discount and purchased it for the title and the cover. I didn’t know it was published in ’86, and if I had, I likely wouldn’t have bought it. Fantasy wasn’t as well-formed in the 80s as it is now so I would have assumed it was cliched before the cliches were… well… cliche. I COULD NOT HAVE BEEN MORE WRONG. In fact, this is the most stunning blend of religious imagery and fantasy that I have ever read; it takes the trope of ordinary-person-thrown-into-magical-realm and just makes it /shine/; the sassy dragon is sassy; world building so beautiful and complicated it made my eyes bleed; and, lastly, ninja warrior nuns. AND I NOMINATE MY PIXIE!! Can I pilfer some of YOUR categories? I’ve seen versions of this going around, and since I’m addicted to bookish tags, I thought I participate too. Cake and books go together splendidly. This is a great post! I have not read most of these books, (well, um, I mean, any of them) but a lot of them look pretty good, and you gave succinct descriptions of them. Well done. You can do an Irish accent??? I am so jealous! (Not that I will begrudge you for this- I am a nice person.) I adore accents, especially Irish, Scottish and Australian accents. I can’t do any of these accents to save my life, but I love them dearly. Firstly, thank you very much. Secondly, yes! Accents are a passion of mine! Thirdly, I saw on your blog that you’re a Lemony Snicket fan? You should DEFINITELY read some of the Flavia de Luce novels!